We combine tradition with innovation! 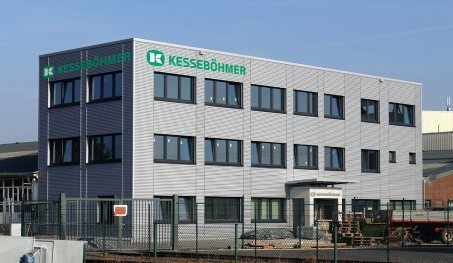 New administration building completed in December 2017 for Kesseböhmer Warenpräsentation GmbH & Co. KG in Bohmte. The new three-storey building with a floor area of approx. 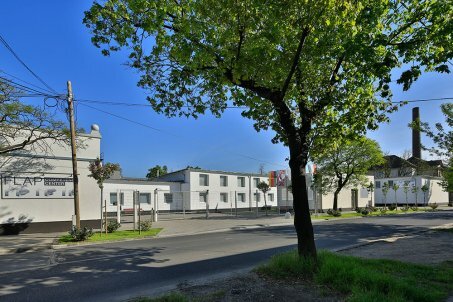 1,220 m² includes 34 offices, a showroom and two conference rooms. 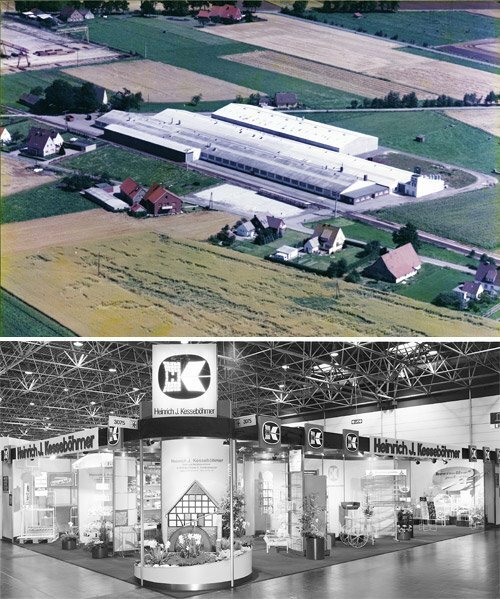 In September 2017 work starts on a construction project for Krause Metall in Herrnhut, part of the Kesseböhmer Group. 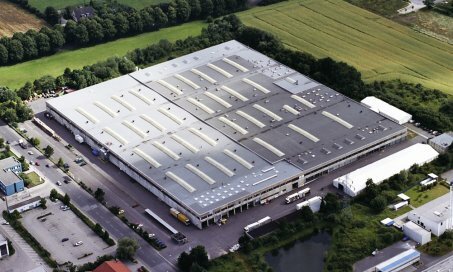 The 6,000 m² expansion adds warehousing and production capacity, together with offices, staff facilities and an underground car park. 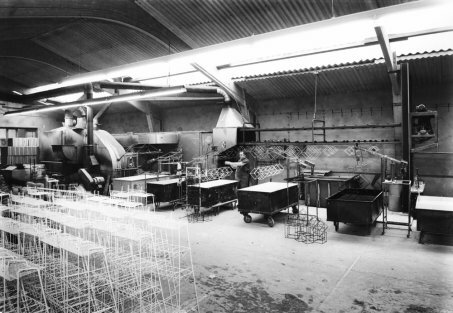 Third electroplating unit, “Galvanik III”, goes into operation in Dahlinghausen. A milestone in the company’s 62-year history – together with “Galvanik II”, commissioned in 2009, one of the largest and most advanced electroplating systems in the world is now operating in the small town of Bad Essen-Dahlinghausen. 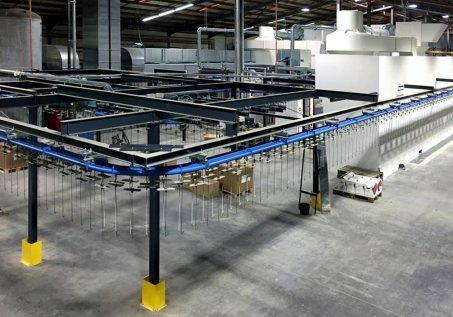 The new electroplating unit takes up an area of 16,500 m². That’s more than two football pitches. Building it required moving 17,000 m³ earth, pouring 6,000 m³ concrete and using 2,000 t steel. 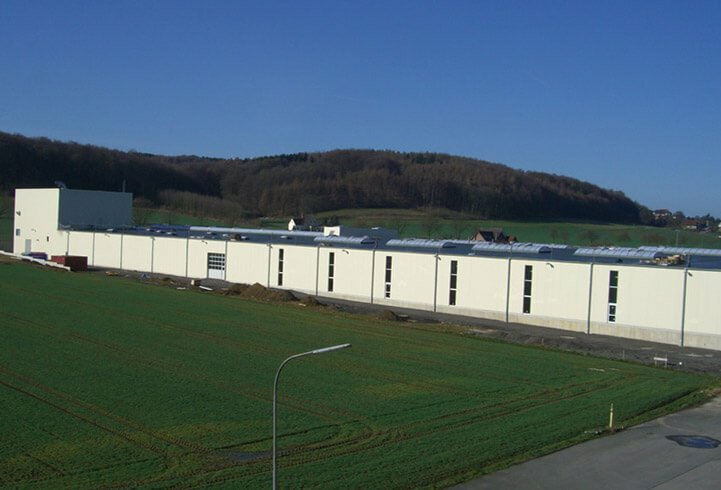 New coating unit in Bohmte. 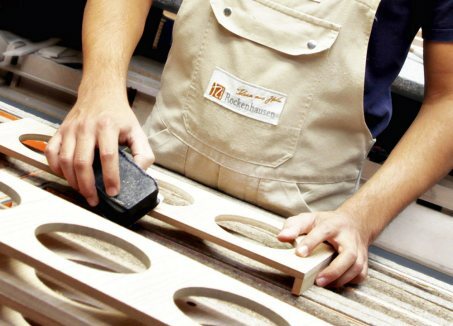 Holzwerk Rockenhausen is the newest member of the Kesseböhmer. Group with around 40 employees and a plant with a total area of approx.10,000 m² (4,000 m² production and 500 m² office space). 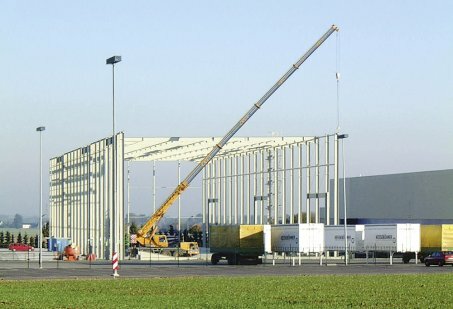 Schwarz Werkzeugbau invests several million euros in a new Try-out Center. 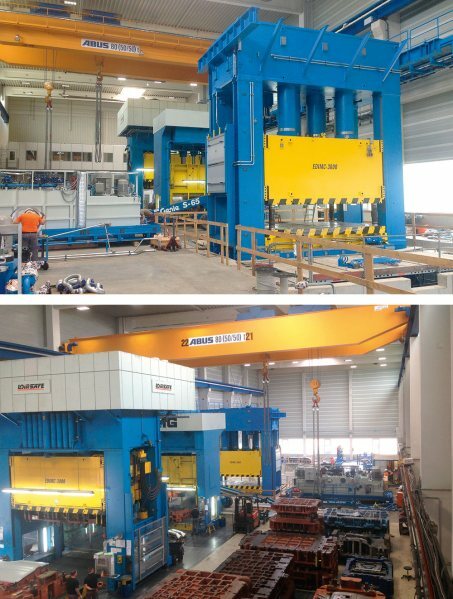 In a purpose-built production hall, two new presses (30,000 kN and 8,000 kN) and an 80-tonne crane go into operation. Existing presses are retrofitted to the latest technical standard. 20% new jobs are created and production is organized on a 3-shift basis. 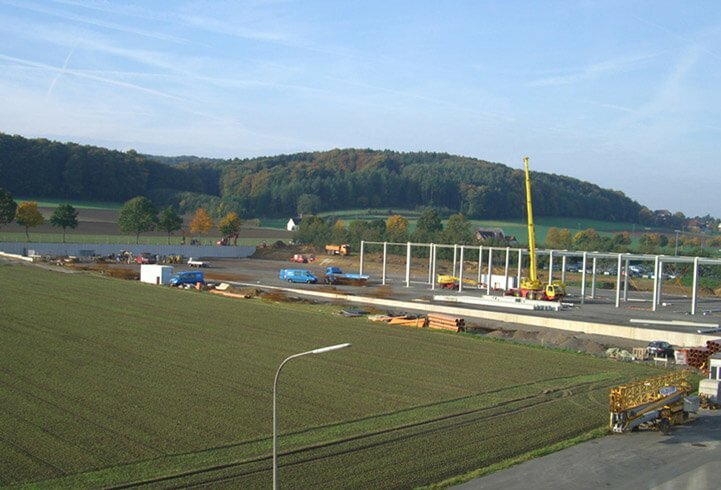 Production plant expansion at Krause Metall in Herrnhut (2,500 m² expansion) and at Kesseböhmer Weilheim (4,500 m² expansion). Heinrich J. Kesseböhmer dies in a tragic road accident. 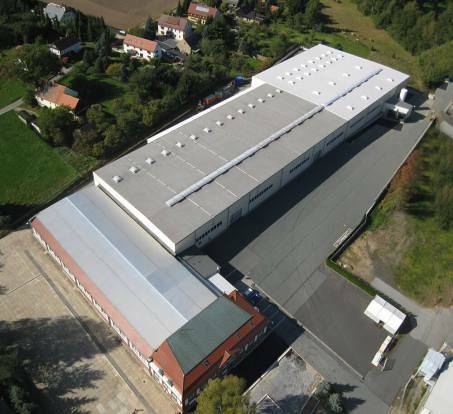 Bohmte: purchase of neighbouring site with 4,000 m² production space. 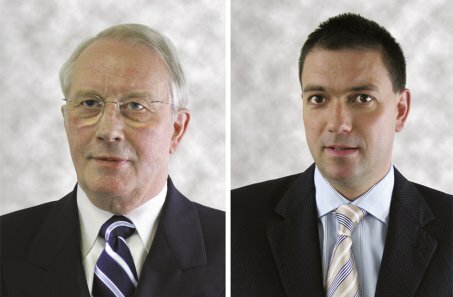 Founding of Toplifter in Budapest, Hungary together with long-term business partner Häfele, takeover of the Huwil Toplifter product family. 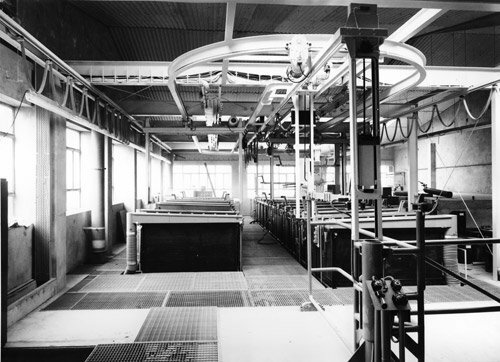 Completion of the second electroplating unit in Dahlinghausen incl. commissioning of a 4.5 MW wood-fuelled power station for regenerative energy. Construction start on a further electroplating unit in Bad Essen-Dahlinghausen. 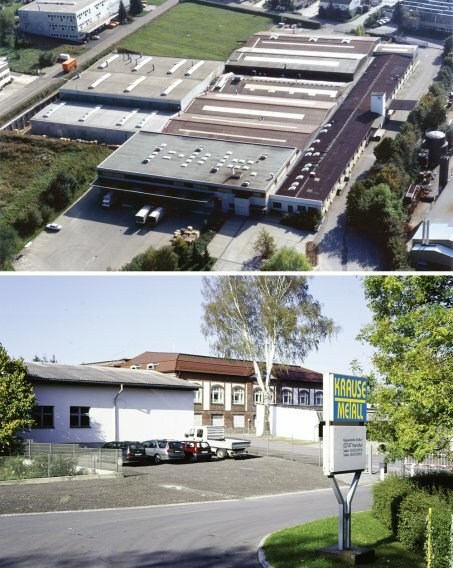 Modernization and expansion of the Herrnhut plant. 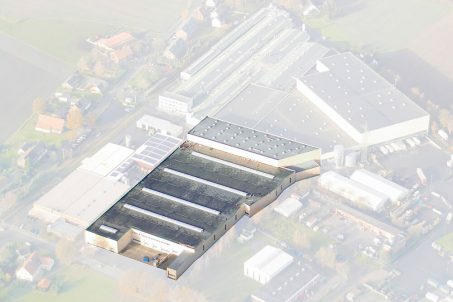 12,600 m².expansion of the Lübeck plant. Commissioning of another powder-coating system. Direct sales in 52 countries. 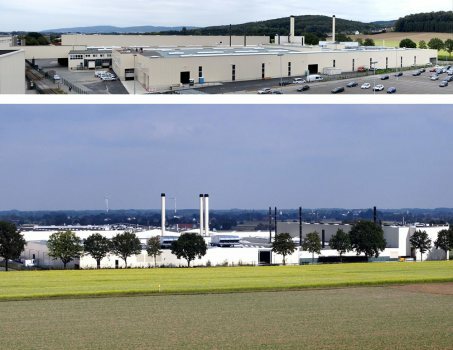 Five production plants – all in Germany. Plant in Dahlinghausen expanded by around 12,000 m² and adjacent west site completed (car park, new access to main road, rainwater storage reservoir). 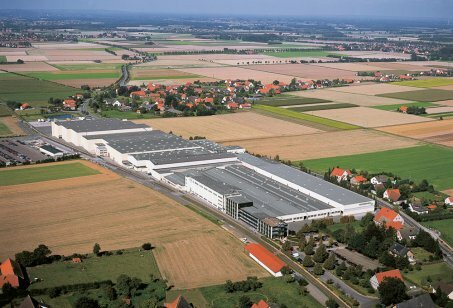 7,000 m² expansion of the Bohmte plant. 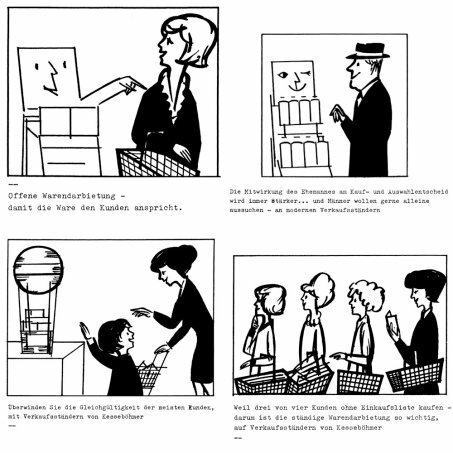 Übernahme des System-Ladenausstatters Storebest in Lübeck und damit Abrundung des Angebotes im Segment „Warenpräsentation und Ladenbau“. 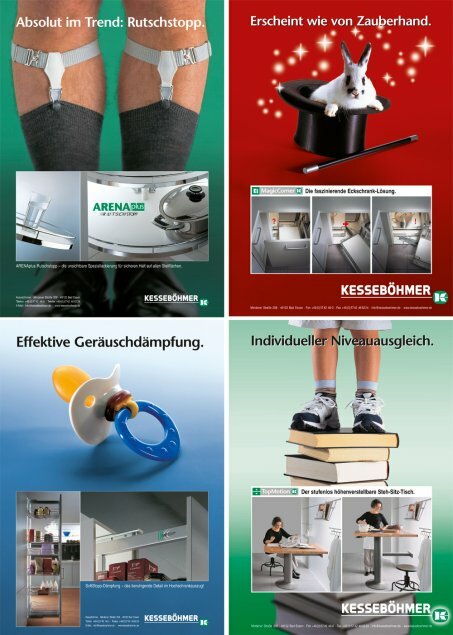 Expanded product portfolio for ergonomic office furniture and caravan fittings by acquiring a plant in Weilheim, Stuttgart and a supplier of furniture fittings in Herrnhut, Saxony. Oliver Kesseböhmer joins company management team. 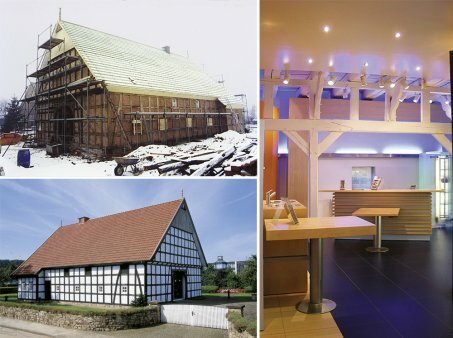 Renovation and extension of an historic half-timbered building as a show house for furniture fittings systems. 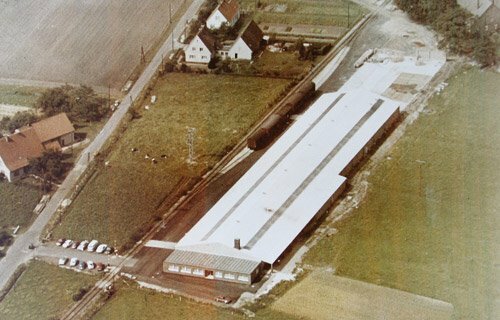 Replacement of the original electroplating unit in Dahlinghausen with a new building. 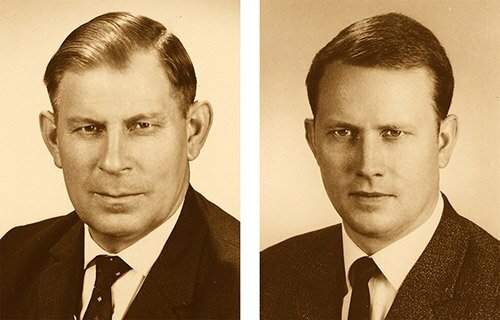 Following his father’s death, Heinrich J. Kesseböhmer takes over as Kesseböhmer CEO. Bohmte plant expanded and new coating system commissioned. 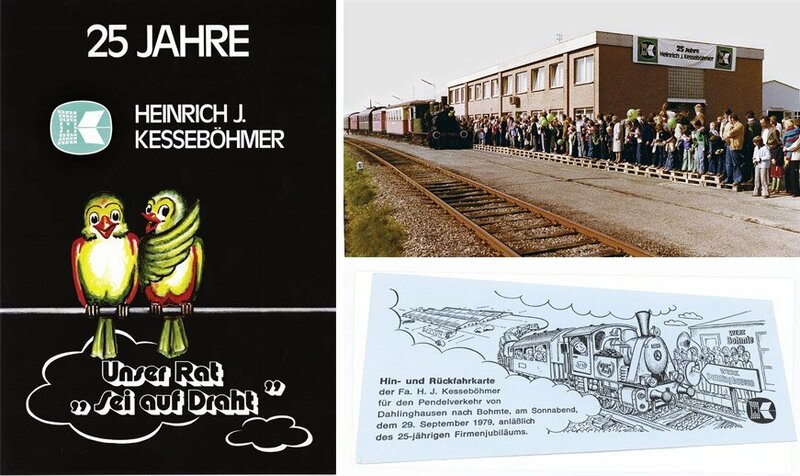 Acquisition of shares in DWD-Drahtwaren, Deizisau, Stuttgart. 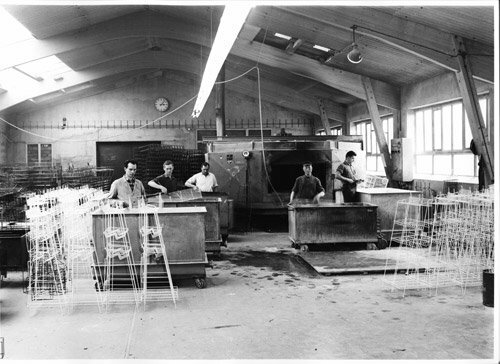 Manufacture of baskets for dishwashers and wire racks for fridges. 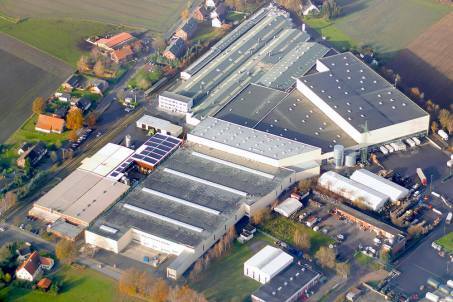 Continuous expansion of production capacity in Dahlinghausen and Bohmte. Bohmte plant opened. New modern powder-coating system in Dahlinghausen expands surface treatment capacity. 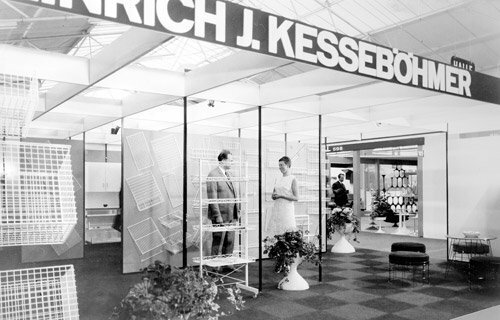 First INTERZUM 1969 international supplier trade fair – with Kesseböhmer. 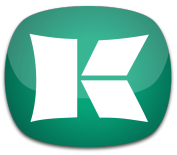 Strong growth in demand for Kesseböhmer display systems. 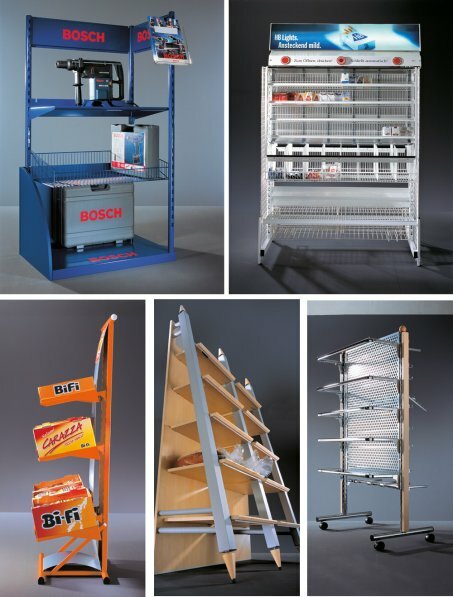 Kesseböhmer display stands are used for POS display of products from Henkel, Nestlé, Coca Cola, Vileda, Bosch and many other leading brands, including Tempo tissues. Bohmte factory is rebuilt. The first electroplating plant in Dahlinghausen goes into operation. Collaboration with major kitchen manufacturers to develop a versatile range of fittings for kitchen units (later also bathroom and bedroom furniture). Fluidized-bed coating system for plastic coating goes into operation. The first new building (1,500 m²) expands production capacity for presentation and display systems. 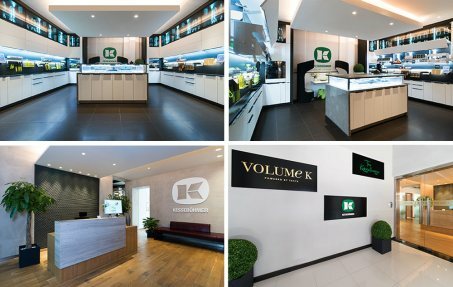 Adding a PVC-coating system enables Kesseböhmer to expand into production of plastic-coated decorative items and sales and display stands. 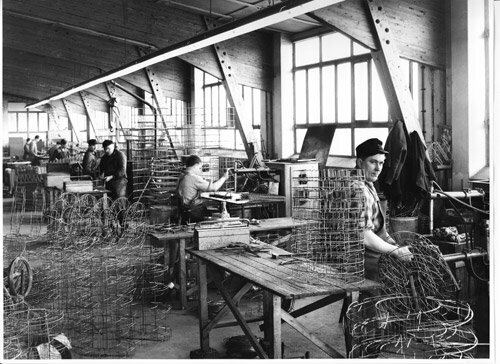 Josef Kesseböhmer and his son Heinrich J. Kesseböhmer take over manufacturing operations of Becker & Co. in Bad Essen, Dahlinghausen. 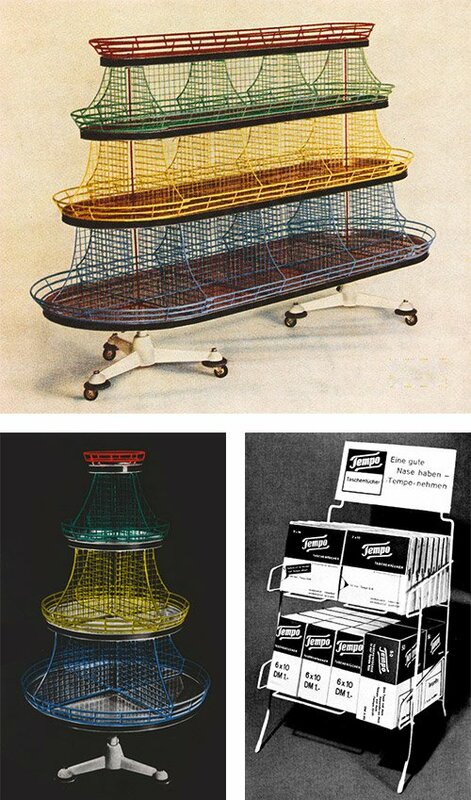 The company produces wire baskets and display stands for shopfitting and presentation.